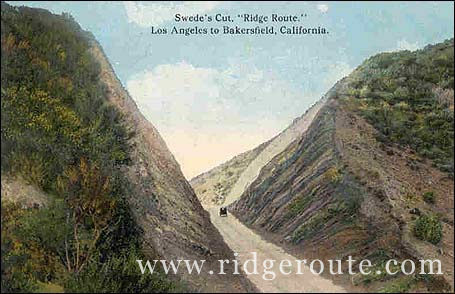 Swede's Cut was also known as Big Cut and Culebra Excavation. All three names identify the same location. They cut a slot through the mountain to a depth of 110 feet. It was the largest cut on the highway. Steam Shovels were the muscle for this lengthy dig.